If you’re on social media, you know those moments. You’re scrolling through the never-ending, ever-growing feed on your phone with your thumb reflexively moving up and down when suddenly something catches your attention and causes you to stop and take notice. Those moments are called “thumbstoppers.” And they are often few and far between. Many people passively scroll through Facebook feeds or Twitter timelines without paying much attention. This presents a problem for churches trying to use social media as an avenue of influence and outreach. Perhaps unsurprisingly, the most important thing for churches is to create and share quality content. No strategy can overcome bad content. If you want to be noticed by students on social media, create things that matter and are relevant to them. Tweet out a link for overcoming stress or social anxiety — common issues raised by teenagers. Post an Instagram video showing an exciting youth event. Have a strategy for what you share and why you share it. In many cases, the who can be almost as important as the what of online content. Almost 6 in 10 students surveyed say they stop to look at something if it was liked or viewed by a lot of people (59 percent) or sent by someone they respect (58 percent). If something is popular, teenagers and young adults want to know about it. If it’s from a trusted source, they stop to look. Churches must cultivate relationships with young social media users who are already part of their congregation. Encourage them to share relevant church-related content with their friends online. More than half of 13- to 24-year-olds in the DEFY Media study say they stop scrolling when they see something that happened to people they know (55 percent), notice an activity they can imagine doing with their friends (53 percent), or see something they’ve thought but never said aloud (53 percent). You won’t reach young people if you don’t know them. 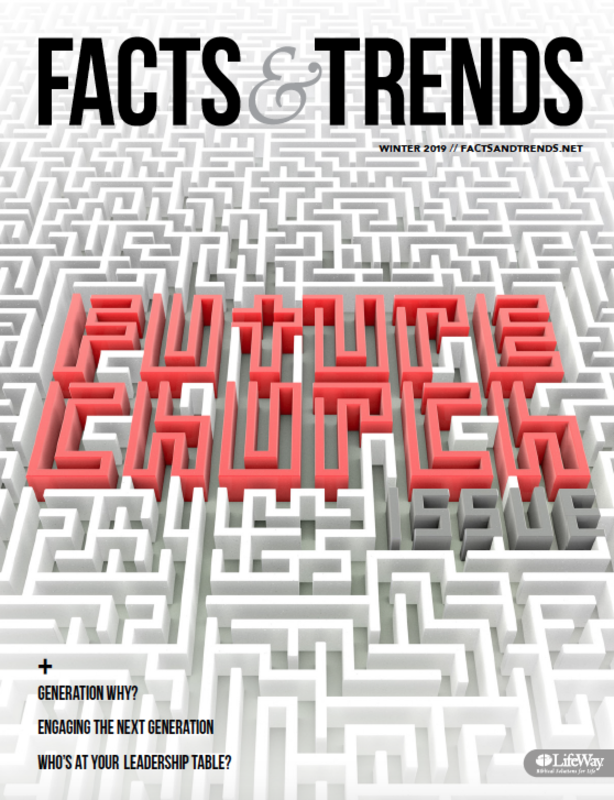 Churches trying to reach the next generation must first spend time learning about them. Talk to parents of teenagers. Talk to the students themselves. Find out what interests them and how that intersects with the church and its mission. It should be obvious, but you have to make your content look nice on both your website and social media. More than half (52 percent) of Generation Z members say if something looks polished and professional, they will stop scrolling. Many churches can’t afford to hire a full-time graphic designer, but they probably have someone in the congregation with a good design eye who can help in this area. If nothing else, get to know the style of your target audience and learn to create content that appeals to them. But half (51 percent) of teenagers and young adults say seeing something they didn’t expect causes them to stop scrolling. Occasionally use a headline that might surprise readers. Try something like “7 Problems in Sunday’s Sermon” for an article based on a sermon about problems Paul encountered in his missionary journeys. Be creative, but don’t go overboard. Use this sparingly to add variety to your social media feed and hopefully gain more readers. Almost half (49 percent) say they stop scrolling when they see something that has a message or is about a cause. This should be easy for the church. Both millennials and Generation Z are cause-driven. Share big ideas. Point to worthy causes. Speak about the most important message of all—the gospel. They want to be involved in something worthwhile. Use your social media to remind them the church is about growing God’s kingdom, not expanding a human institution. Inspire teenagers and young adults to look past themselves and their screens. Social media is not inherently bad. It’s a place where you can connect with teenagers and young adults in your church and community. But it can’t be haphazard. Young people need churches to help them understand how to live out their faith in their digital world. One way to do that is to create social media posts that will cause them to stop scrolling and start serving.